This is the actual pace/lap car #18 driven by Ward Burton, the winner of the Daytona 500!! This is the actual pace/lap car #18 driven by Ward Burton, the winner of the Daytona 500 on February 17, 2002. This car is an important piece of NASCAR history that will never be duplicated. After the race, the car was sold and traveled 12,214 original miles, always babied and garaged. The car comes with NASCAR memorabilia and documentation. It has a clean CARFAX and only a two-owner car. Automatic transmission. T-tops/full leather interior, Ram Air induction, WS6 suspension. 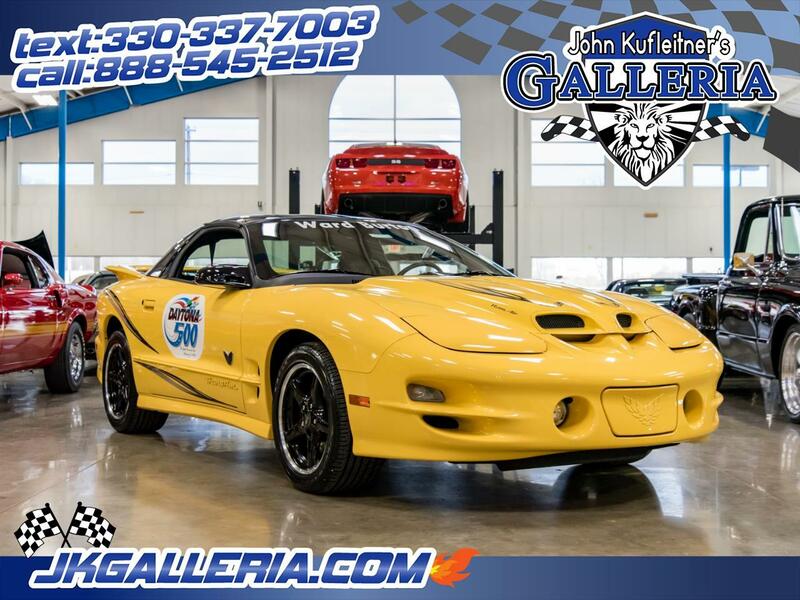 This Trans Am will never be duplicated due to Pontiac is not in business anymore.This is a Turn Key Trans-AM that has been inspected, serviced and is ready for a cross country trip. Fly in and drive home or I can assist with shipping anywhere in the World! Clean and clear Ohio title in hand. Have questions? Call or Text Jaison at 330-383-1566.